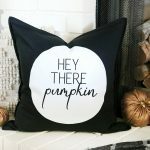 While scrolling through former projects from years past the other day it hit me, I have hardly any fall themed projects on my site. 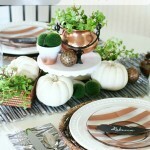 How do I never seem to post anything fall? 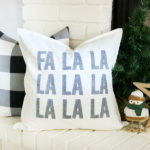 It’s one of my favorite times of the year, Christmas is actually my favorite…but fall is a very close second. 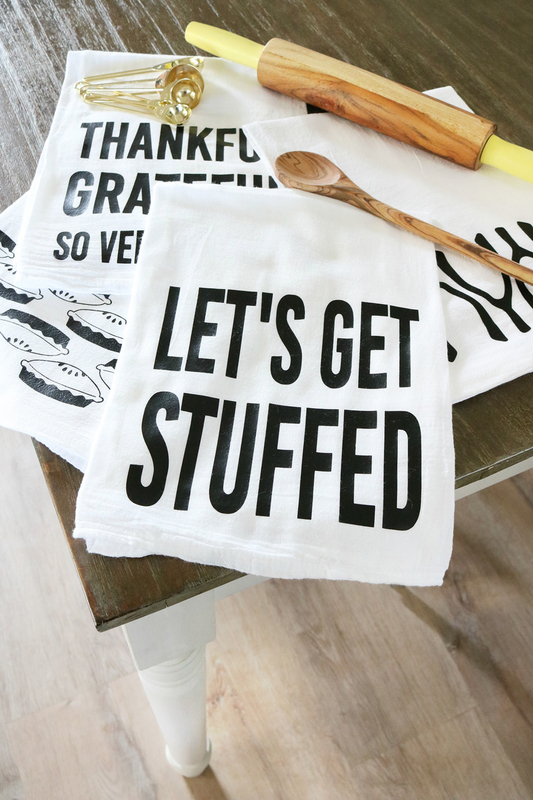 So I decided to rectify that with these easy-to-make and cute DIY Thanksgiving Tea Towels. 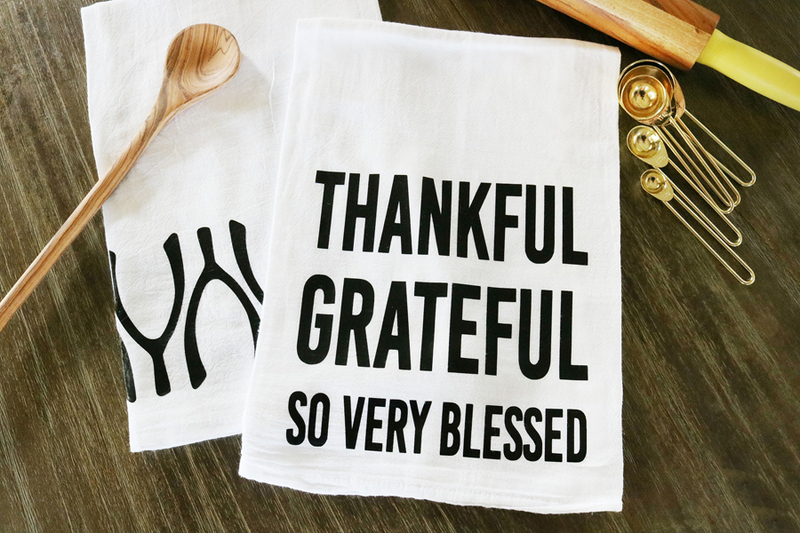 For a while now I’ve been meaning to make more custom tea towels, especially after these DIY Christmas Tea Towels I made a few years ago were such a hit. 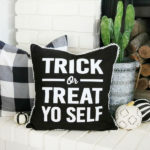 This time I decided to switch things up a bit and instead of painting the designs on using a freezer paper technique I wanted to use heat transfer vinyl. 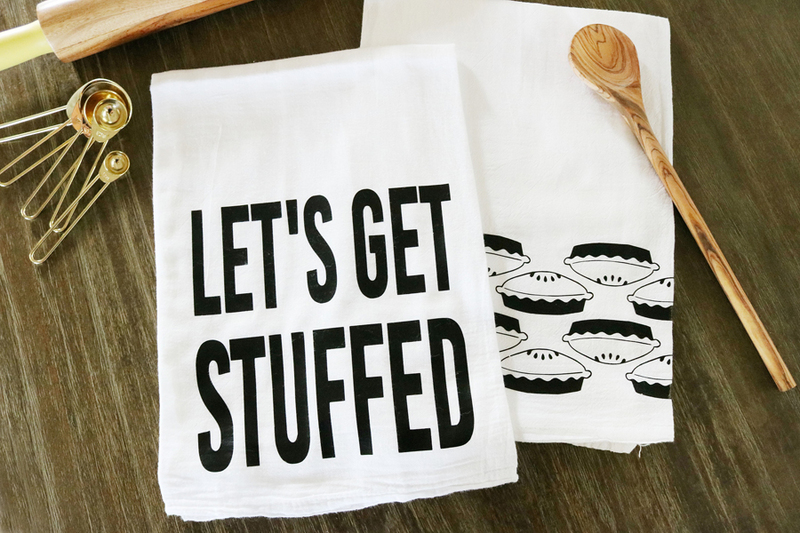 These towels are mostly for looks but they do also hold up super great with washing. 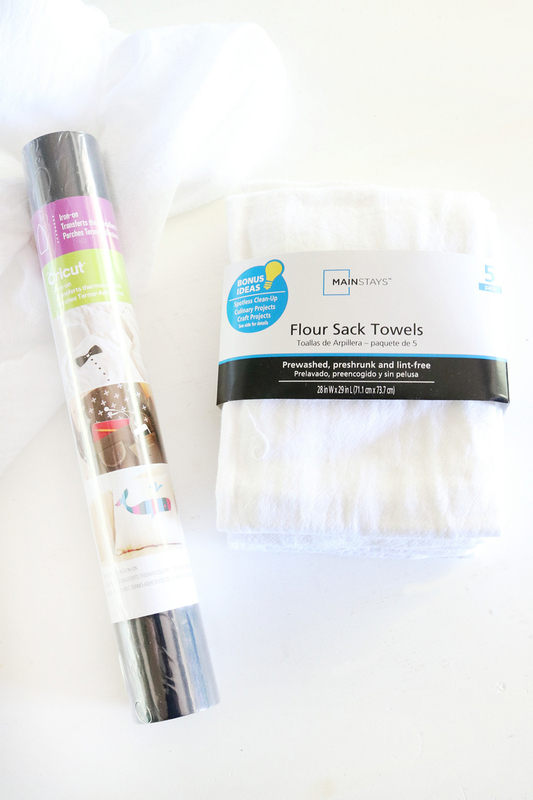 I was able to find the blank tea towels at Walmart, it’s a package of 5 for about $4. I’ve been finding any excuse to get my new Cricut Maker out, so this was perfect. 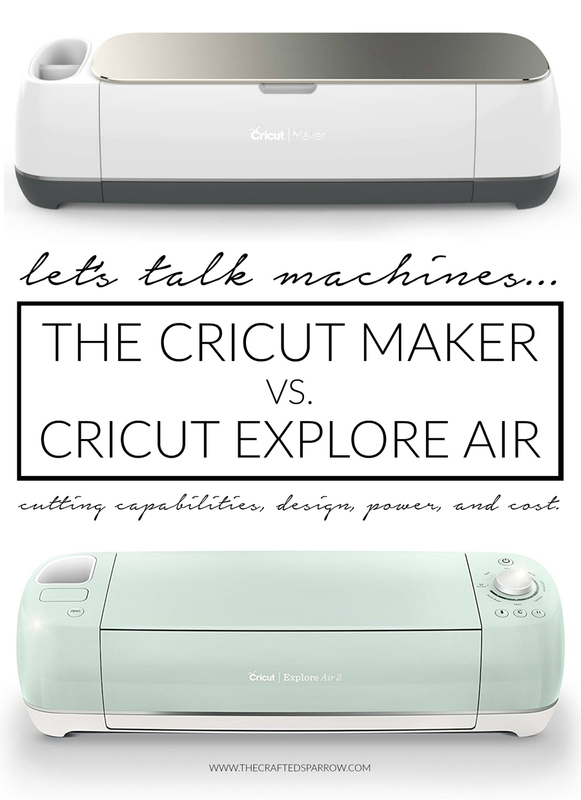 You might remember last month I shared this Cricut Maker VS Cricut Explore Air 2 Cutting Machines comparison post to hopefully help any of you who are on the fence about what machine to buy. 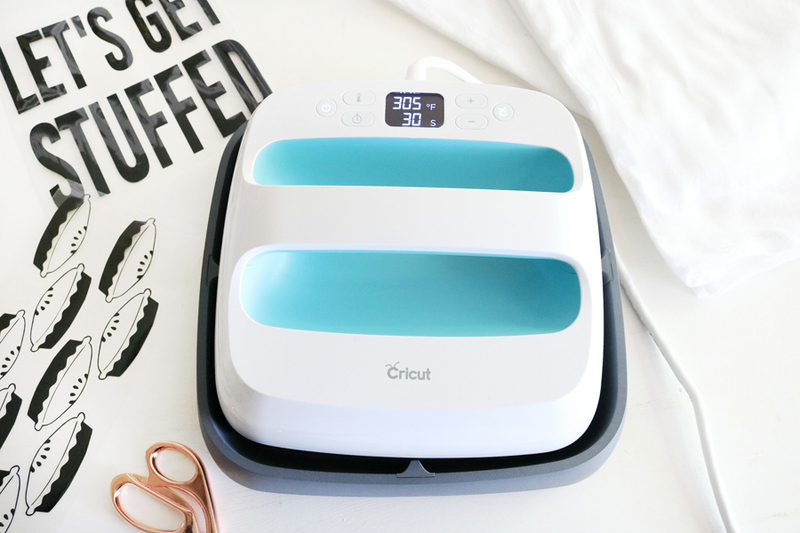 If you haven’t had a chance to read it and are wondering why to buy the Cricut Maker be sure to check it out. 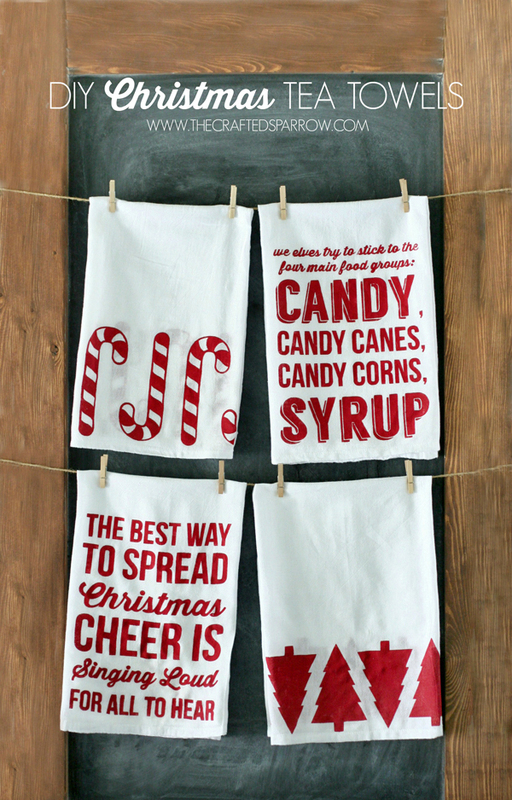 When I was designing these tea towels I knew I wanted them to have simple graphics and bold fonts like the Christmas version I did a few years ago. 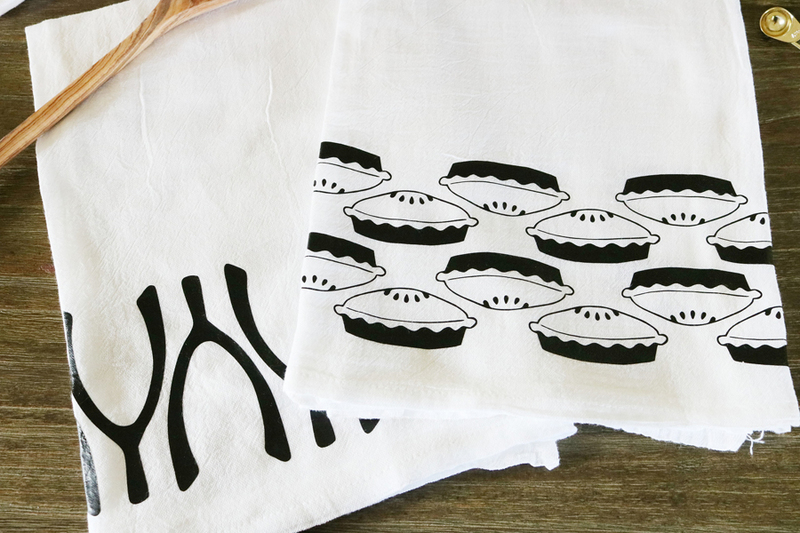 So I chose two designs that could be repeated for two of the towels that made me think Thanksgiving – pies, and wishbones for the win. 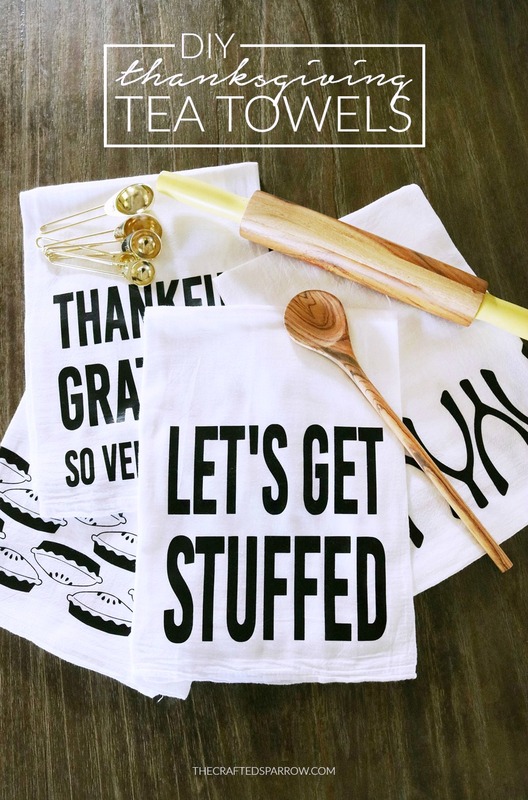 The other two I designed fun Thanksgiving sayings. 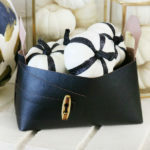 Once I designed all the images for my towels I uploaded the images to Design Space. 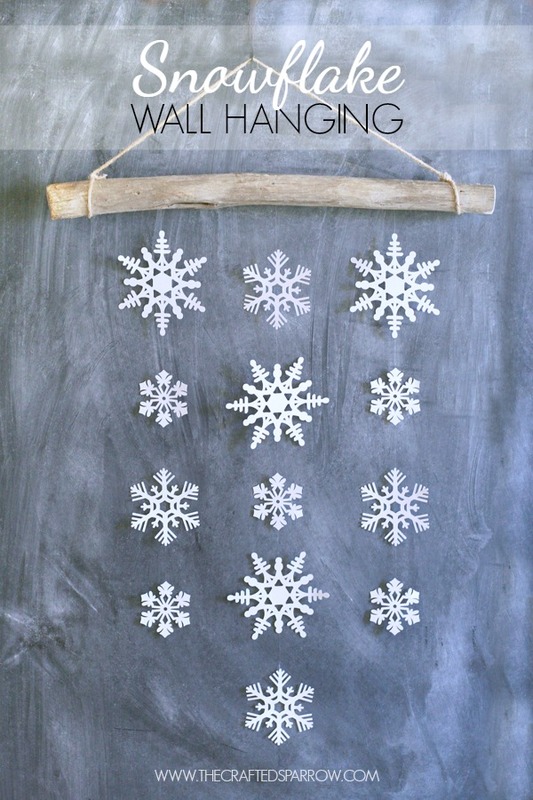 Turned them into cuttable files, then cut them from black iron-on vinyl. 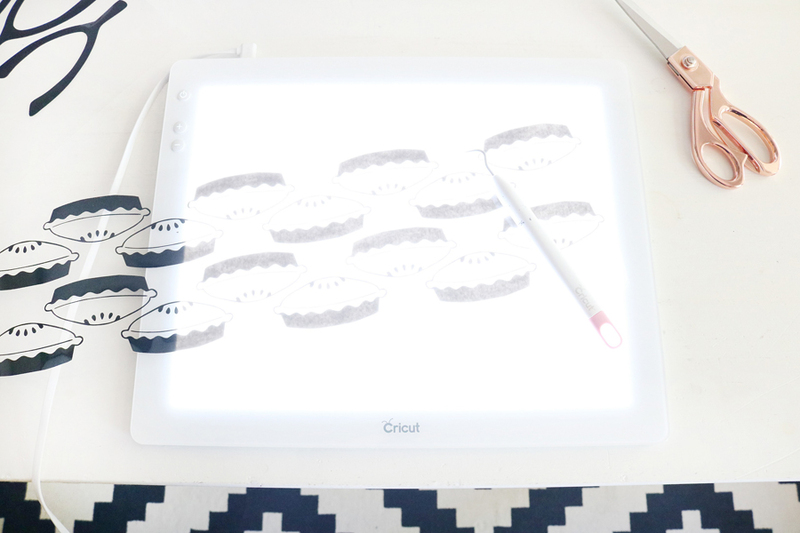 When it came time to weed the vinyl I was quick to grab one of my new favorite tools the Cricut BrightPad. It makes seeing all the details when weeding so much easier, especially the smaller more I intricate details. 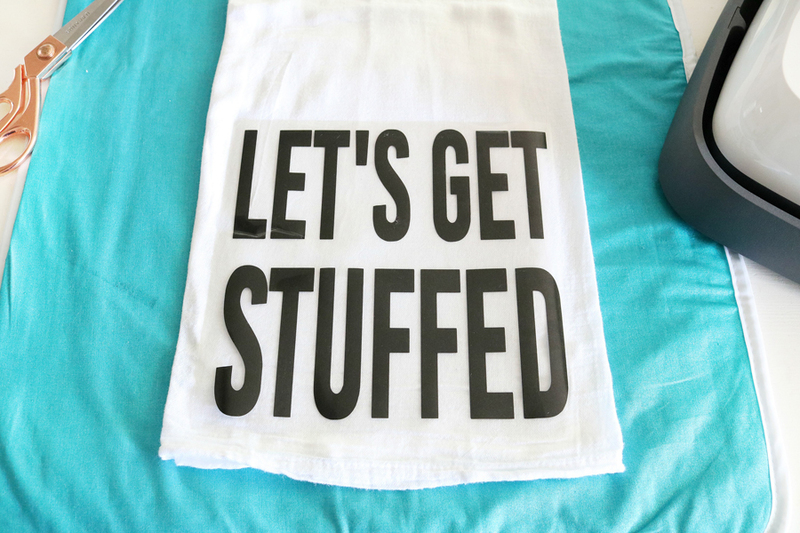 Time to iron! 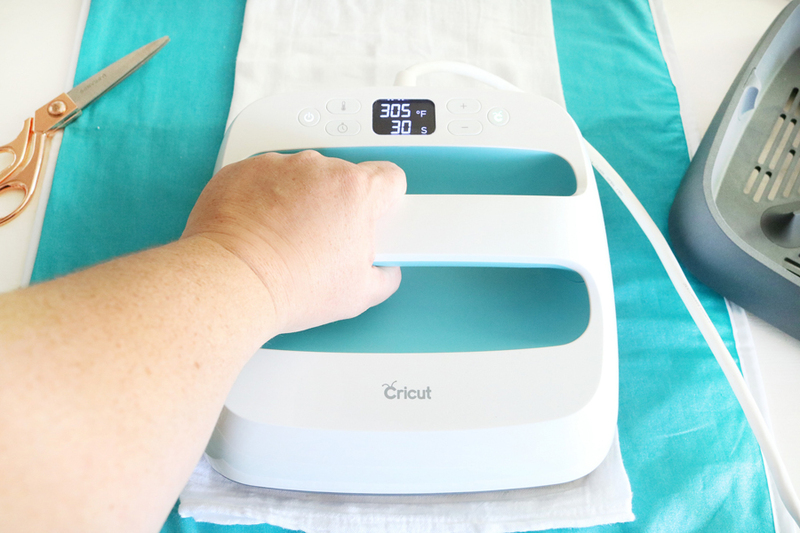 For reals guys, this new EasyPress is such a dream to use. I just set the temperature to 305* for 30 seconds. I held the easy press on the designs for 2 x 30-second timers. Once done I set the towel aside and let it cool completely. Peel away the clear cover from the vinyl when it’s completely cooled and go slowly. 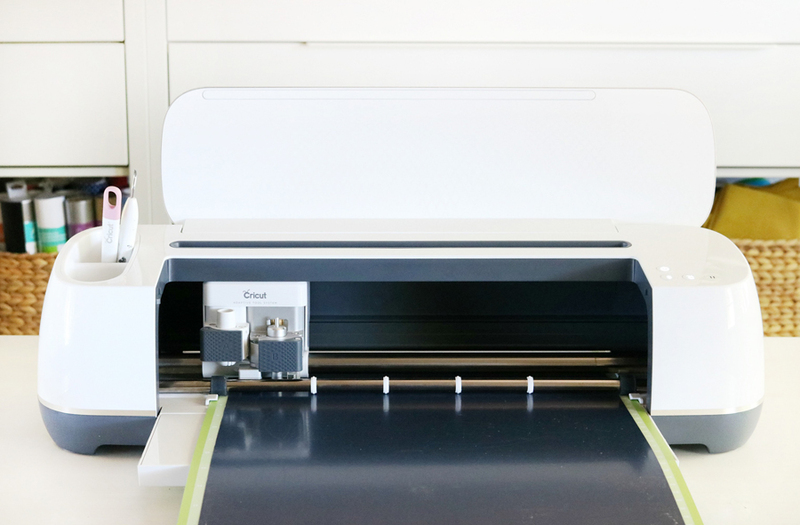 If for some reason you have a spot that didn’t adhere well go back over with the EasyPress – being sure to cover vinyl with a thin piece of the blank tea towel first. That’s it, all done! 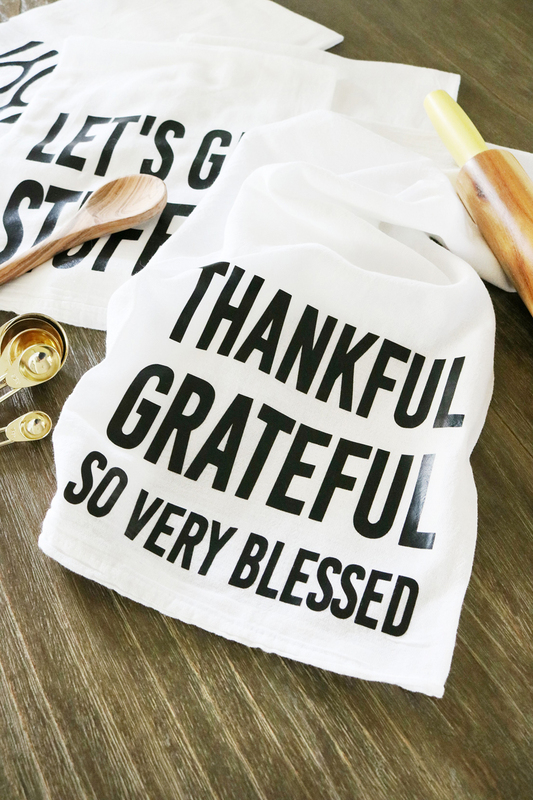 Now you have some super cute DIY Thanksgiving Tea Towels… you can package them up for a fun hostess gift or just put them on display in the kitchen. Note: When using these towels be sure to not set hot pots and pans directly onto the vinyl. Wash like normal for cleaning, and hang to dry. 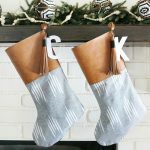 If you’re looking for holiday gift ideas to put on your wish list, definitely consider adding the Cricut Maker Machine, the Cricut EasyPress or Iron, and the Cricut BrightPad – you’ll love them all!